Browse our Marketplace- an online display of the products and businesses which have been developed by our Enactus UK Teams or members of our Enactus UK Alumni network! High-quality product at an affordable price to empower locally unemployed women. Our candles are hand poured using high quality fragrance and 100% natural soy-wax, which is environmentally sustainable and vegan-friendly. Fig & Vanilla - A perfect fusion of earthy fig tones and a sweet, creamy wave of vanilla. This warm and inviting scent pairs well with a cosy night in. 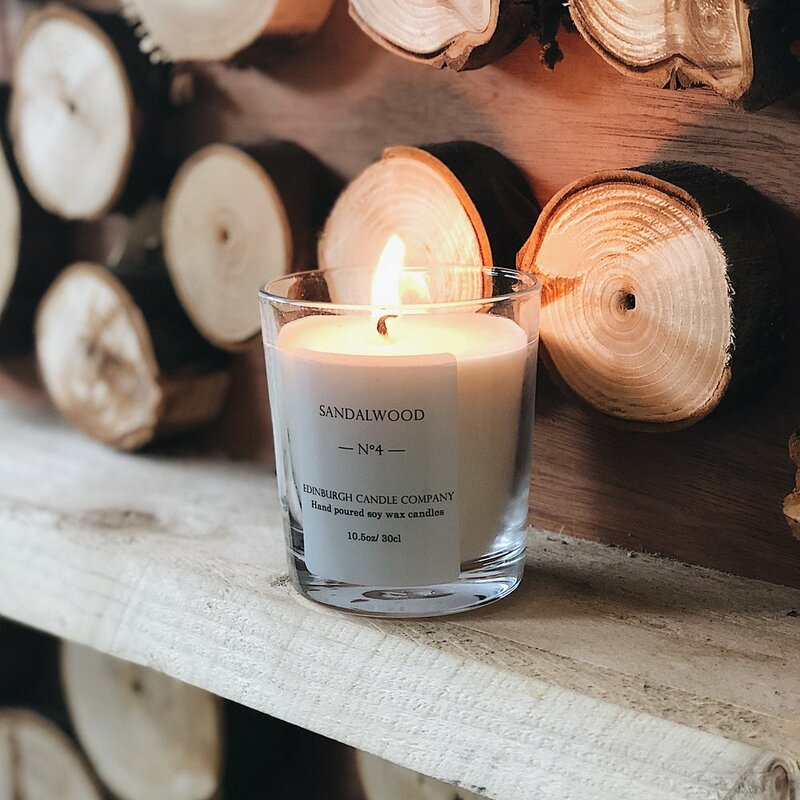 Sandalwood - Warm and aromatic with earthy tones, this woody scent captures the comforting feeling of being wrapped in a familiar hug. The Edinburgh Candle Company trains unemployed women around the city of Edinburgh to make soy-wax candles. 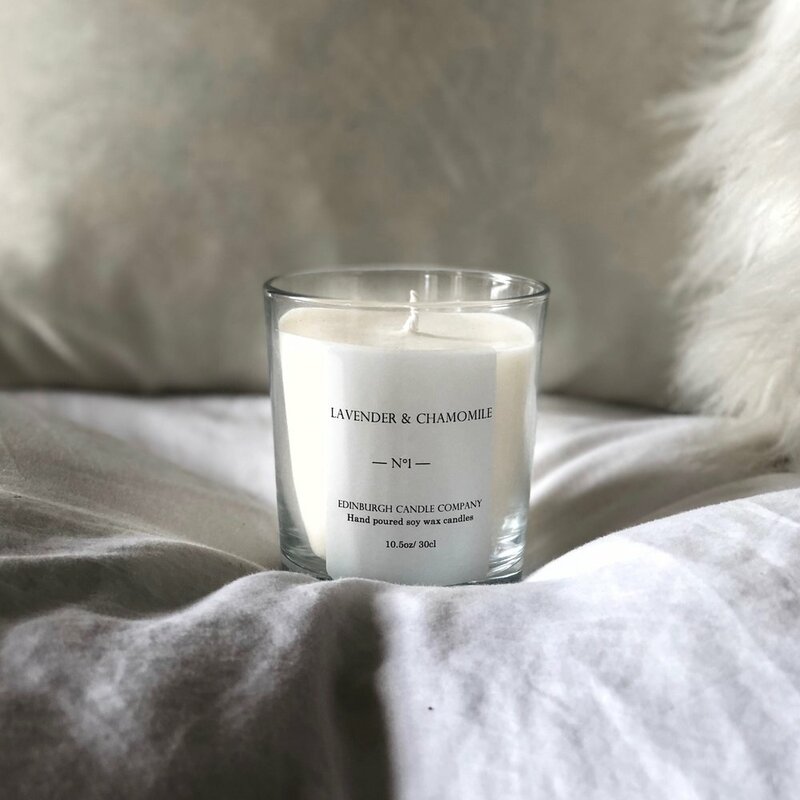 In addition to selling candles, we run a one-on-one mentorship scheme, providing a platform for the women to gain confidence, transferable skills and a sense of community. We also fund any extra educational training such as IT or English language courses to aid the transition of these women to get back into long-term employment or start their own business ventures. Sent with Love. Open with Care. Care Package Co was founded by an Enactus Alumnus, they specialise in creating care packages that encourage Self-Care! They also partner with charities and medical experts to create Care Packages that make useful and thoughtful gifts to those who may be experiencing an illness. One fantastic example is the Chemotherapy Care Package which was designed with a Cancer Services Charity to ensure all of the products in the package are chemotherapy friendly and then 20% of the profit from each package goes back to supporting the Charity. We have recently partnered with Care Package Co to create the student 'Changemakers' Care Package, designed to inspire incredible project ideas and promote self-care by including some lovely treats! Light your love for warm and tasty cookies and enjoy the smell of a cinnamon Christmas bakery within your own home with our Christmas Cookies candle or give your home the aroma of fresh peppermint by kindling a flame on our little Christmas special Candy Cane candle made from soy wax with a hint of fragrance oil. BrightHer Candles is a social enterprise set up to empower and support domestically abused women. The enterprise is a collaboration between the Enactus at the University of Glasgow and the Glasgow Women’s Aid charity. Woman’s Aid aim is to help domestically abused woman and through this partnership, we offer these women a space to socialise, learn new technical skills through making sustainable candles, gain confidence through creating a physical product and generating profit through that and learning new employability skills, through the business advice sessions that we offer. Palma Soap sells natural, handmade soap with scents including Lavender and Honey, Lemongrass and Eucalyptus, as well as festive scents, such as Cinnamon Swirl and Apple Spice. Purchasing one bar of our luxury soap goes directly towards subsidising the production and sale of 8-12 bars of mosquito-repellent soap in the Kasungu district, Malawi. The ultimate aim for our project is to tackle the harsh ramifications of malaria with an affordable and novel preventative method. Palma Soap is a social enterprise which empowers communities in Malawi, who are badly affected by malaria. Production of the soap, which contains the natural ingredient neem oil to repel mosquitoes, provides practical production skills, as well as entrepreneurial knowledge for those who make it. We are working towards reducing the number of malaria cases and increasing general awareness of the disease. At present, we have sold over 1200 bars! JCADE is committed to raising awareness for mental health within sport, through both the hosting of events and selling t-shirts. Our first event in February will involve a number of speakers talking about their experiences, as well as a host of stalls featuring charities such as mind, who those in attendance can speak to in order to obtain help. The aim is to give people the tools to talk about their struggles with mental health in sport, and to help those without mental health issues to understand what they can do to help the people who are struggling. Our athletic t-shirts support these events and feature the slogan ‘Set Free’, made out of high quality materials ideal for playing sports, going to the gym and spreading the message of good mental health in sports. Our canvas shopper bags made from sustainably-sourced cotton available in two different designs: ‘Vegetable Medley’ shopper bag and the ‘Jumping Veg’ shopper bag. Each shopper comes with a complimentary recipe book, detailing how you can make some of our favourite soups while learning more about rough sleeping and homelessness within Edinburgh and the UK and what you can do to help. These are sturdy bags which are perfect to carry shopping in and reduce use of plastic bags. Slurp works alongside those affected by homelessness. We are partnered with Streetwork, a local homeless shelter, and conduct cooking sessions there every Monday and Thursday alongside service users with the aim of creating an inclusive environment and a sense of community. Engaging with those affected by homelessness and attempting to break down the stigma associated with their complex life situations is at the heart of what we do. The profit from selling our reusable shopper bags will be used to continue supporting service users at Streetwork in a more effective way and allow us to continue spreading awareness of homelessness. These Christmas products are all hand made by community members of Space4, and they would make lovely Christmas gifts or treats! Space4 is a community project based in Houghton-Le-Spring, Country Durham, that offers a safe space 5 days a week with one to one support, discreet groups, and community activities aiming to enable people to navigate life’s challenges for themselves. From individuals with physical/mental disabilities, financial or health issues, to carers, mothers and the retired, everyone is warmly welcomed at Space4. The members of Space4 have made knitted stocking, sequin baubles and beaded snowflake tree decorations and earrings, upcycled wreaths and wooded box all handmade and decorated with care. WEcreate is a student run social enterprise project by Enactus, University of Glasgow. 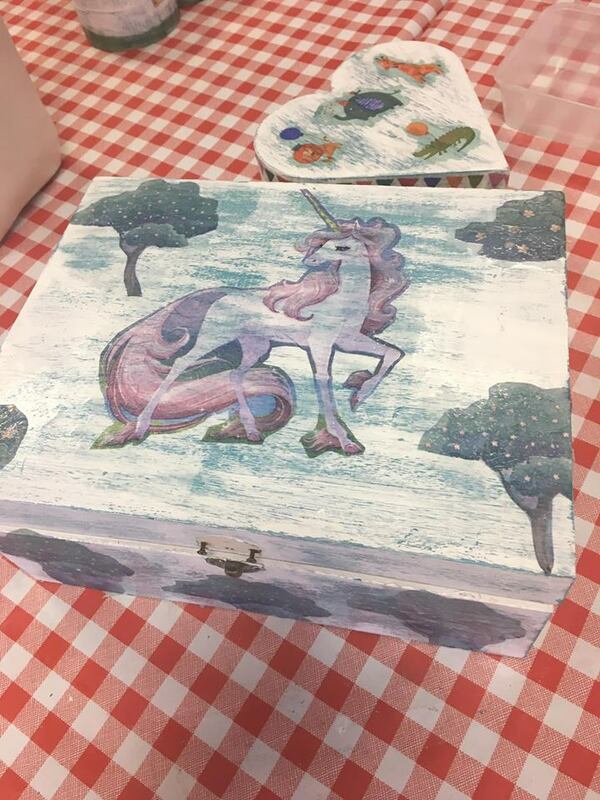 We work in collaboration with registered charity Glasgow Association for Mental Health (GAMH), providing arts and crafts workshops with local people recovering from mental health problems. Since creativity is linked to stress release and self expression, we aim to create a therapeutic and social environment where our beneficiaries can not only learn new arts and crafts techniques, but learn business skills and make friends along the way. We are aiming to progress the project into a sustainable enterprise by selling goods made at our workshops online and in local craft fairs.